“Econder International Academic Journal” are economics and business in the area peer reviewed academic journal which is published twice in a year (June and December). Submission for June volume is accepted between 1st January and 31th May while submission for December is accepted between 1st July and 30th November. The scientific and legal responsibility of articles belongs to authors. Articles written in English and Turkish are accepted for publication. However articles written in other languages can be accepted if they are written in accordance with template. All publication rights are due to Econder and articles can’t be duplicated, published or shared in internet without permission of editor. Articles which are irreligious and distracting people are not accepted for publication. Editorial board is responsible for publication of articles. The main goal of our journal is to set up a common scientific platform in which scholars evaluate their findings and thoughts, share their opinions and propositions. By this way we aim to contribute researches about economics and managerial sciences in both national and international level. Plagiarism is detected and double-blinded method by at least two independent reviewers is used for all articles submitted to journal. Our journal is published in electronic platform. You can use econderjournal@gmail.com and hayrettinkeskingoz@gmail.com for all kinds of problems. 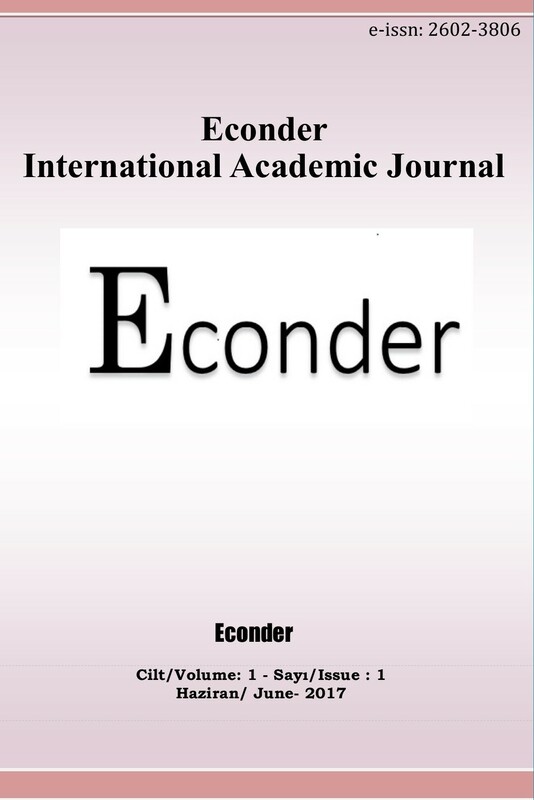 Econder International Academic Journal is an international, peer-reviewed multidisciplinary journal dedicated to publishing scholarly articles on all aspects of Economy and Business. Available online and published two times a year, the journal aims to become one of the leading platforms in the world for new findings and discussions of all fields of Economy and Business.